Are you an elevator or forklift service technician? Do you come across old silver electrical contacts from elevator and forklift repair jobs and have no idea what to do with them? Let Specialty Metals help you recover the value of these contacts. We process and pay you for the precious metal content in any type of electrical contact or solder you may have, and we do it in a fast, reliable, and accurate manner to maximize your return. 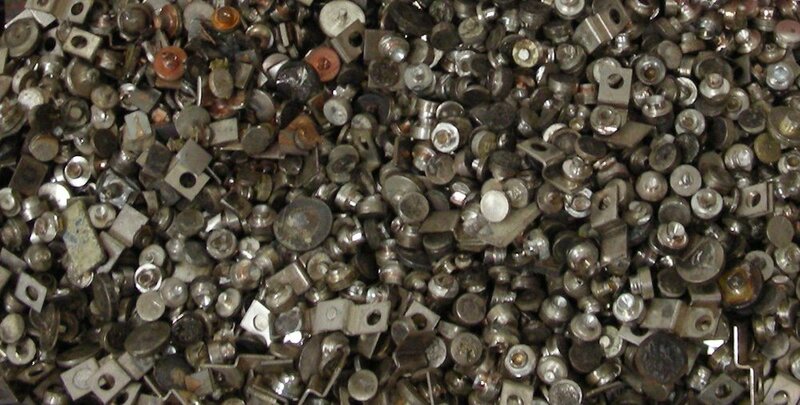 Electrical contacts are a great source of value to recycle and recover the precious metals from. Some of the most common electrical contacts are silver cadmium oxide (AgCdO) contacts, silver tungsten (AgW), silver molybdenum (AgMo), and silver palladium (AgPd), but there are numerous others that contain silver and other precious and non-precious metals. Silver electrical contacts are commonly found in circuit breakers, relays, switches, and electrical discharge machining (EDM) applications, but they are also found in elevator machinery and forklifts. Electrical contacts aren’t just limited to silver either. Electrical contacts can also contain gold, platinum, and palladium – depending on the level of conductivity needed in the application and the intended effects of the contacts used. If you are unsure of the contacts you have, fill out our quote request form or give us a call at 800-426-2344. We will respond promptly and provide information to help you recover the precious metal value from your electrical scrap.